Actress Brie Larson is using her status as a Marvel superhero to insist on diversity amongst interviewers and film critics who tend to be overwhelmingly white males. 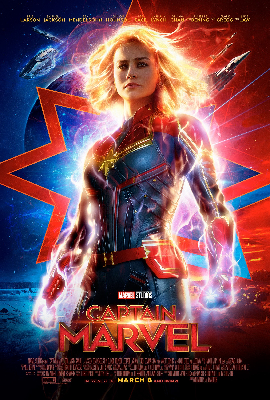 Her ‘Captain Marvel’ is due out next month. Born 1 October 1989 6.41pm Sacramento, California, she had homeopathic practitioners as parents who split when she was young. She was home schooled and started acting early, making the transition into adult roles with great success, winning an Oscar playing a kidnap victim in Room. She said she suffered social anxiety as a child and remains private about her personal life. 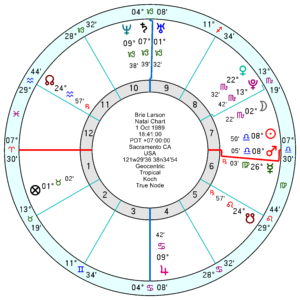 She has a complicated chart which homes into on the generational and highly-strung triple conjunction of Uranus Saturn Neptune in Capricorn which sits on her midheaven opposing Jupiter square a 7th house Sun Mars in Libra. 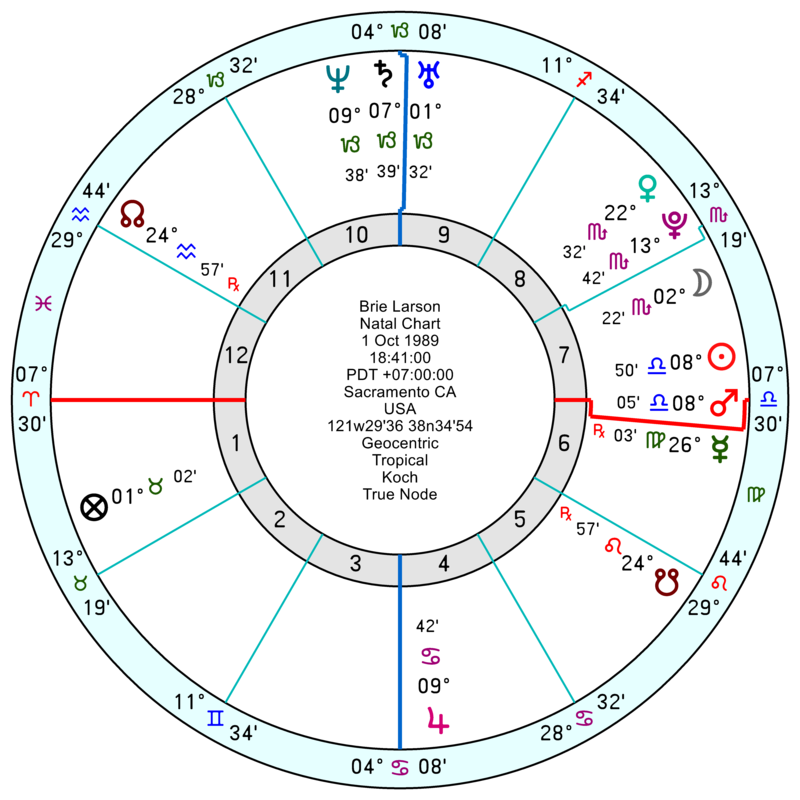 Since the midheaven rules career she’s likely to be creative (Neptune), walk her own path (Uranus), and be well-organised (Saturn). She may end up in an executive role. Jupiter adds a smidgeon of luck to her activities and a focal point Sun and Mars give her initiative and confidence despite her anxieties. She has a film starry and secretive 8th house Pluto and Venus; with her Pluto and intensely emotional Scorpio Moon both in a confident trine to her Jupiter. Her North Node in Aquarius certainly fits her for taking up and promoting causes. She’s in a hard working phase for the next few years with tr Saturn moving through her upper quadrant; with plenty of chances to shine in the spotlight with her Solar Arc Jupiter moving through her 5th for many years to come. Though this isn’t her best year with a few obstacles in her way.